How to display documents and images in your app. You can display images and documents in your app. Images are stored in Image column types. Documents are stored in File column types. Image or document values are stored in your spreadsheet as either a URL or a file name. Facebook: You may be able to access images from your Facebook album because you are logged into Facebook, but when some other user tries to see the image, they will get an error. Whenever you are using an image from some kind of online storage provider, make sure that public access permissions are provided. Dropbox: Dropbox, like most cloud file systems, shows your image on a webpage, but the webpage itself is not actually an image. It is a web page that hosts an image. This article explains how to construct a link to a Dropbox image. Local Computer: An image URL from your local computer of the form file://MyImages/MyImage.jpg or C:/MyImages/MyImage.jpg. AppSheet has no access to your local computer, nor do you have the option to 'upload' an image to AppSheet. Instead, place your images in your cloud storage provider and use one of the mechanisms described above. If you store the value as a filename, the image or document must be stored in your cloud file system, not on your desktop! In the app editors, we provide a file selector widget that lets you browse your cloud file system to find an image. If you are specifying an image or document file name in your spreadsheet, the file should be in the same folder location as your spreadsheet. For example, if you use Google Drive and your spreadsheet is in the /appsheet/data/MyApp folder, then if you have the image 'MyImage.jpg' in the same folder, you can just use the value 'MyImage.jpg' in the appropriate cell. It is sometimes easier to organize images in their own folder. For that reason, we allow image file names to be specified relative to the location of the spreadsheet. For example, if your images are in a subfolder called 'Images', you can use the cell value 'Images/MyImage.jpg' or './Images/MyImage.jpg'. See this Google Sheets article if you need assistance with image sizing. AppSheet downscales all images to 600px wide except for the app background image which is 1000px wide. For custom images, we generally recommend using square images - 600x600px. The detail view (previously slideshow view) has a "main" image. The main image is automatically selected but can be overridden with the Main Detail Image Column in the detail view options. The ImageStyle option can be used to control how the image is shown: 'Fill' will crop the image to fit the header area (great for photos), 'Fit' will scale the image down to fit inside the header area (great for logos), and 'Background' will use the image as a background for the whole slide (great for pattern images and some photos). To find the application name to include in the image URL, look at the URL bar of the AppSheet Editor browser window. It should contain something like "https://www.appsheet.com/Template/AppDef?appName=Inventory-114348". The application name is the value following "?appName=". In this case, the application name is "Inventory-114348". In the AppSheet Editor go to the Data > Tables pane. 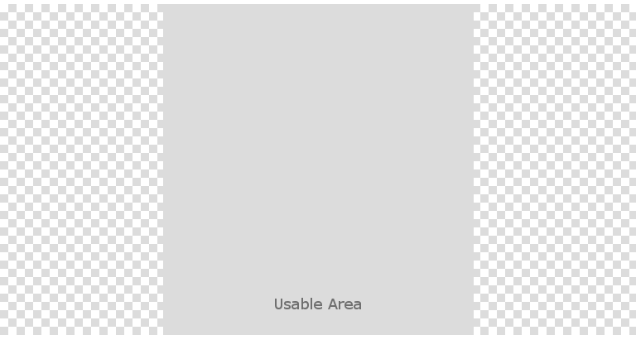 Expand the table that contains the image field. Copy the value in the "Table Name" property. To test the image URL, copy the constructed value into any browser window. The image should render. If there is something wrong with the image URL construction, the image will not render and instead you will see a message indicating that the page could not be found. Almost always, this is because the application name specified is incorrect. Now that you have the correct image URL, you can embed the image inline within your Google spreadsheet. To do so, add an additional column (you could call it "Image Preview" for example), and then wrap the image URL in an IMAGE() expression. Normally, images are stored as files in a cloud file system and the name of the file is put into a cell of the corresponding row in the data spreadsheet. If your data is in Smartsheet however, there are a couple of extra considerations. Smartsheet does not have a traditional 'file system'. Instead, the images associated with any row should be stored as a row attachment and the name of the attachment file should be stored in the corresponding cell. Smartsheet recently introduced a mechanism that allows an image to be saved and shown inline within a cell. Any images captured via an AppSheet app will be saved as a row attachment and will also additionally display inline with the specific cell. However, if you are creating a data set for use with an AppSheet app, the inline images cannot be read and processed by AppSheet. You will need to create the images as row attachments as described earlier.